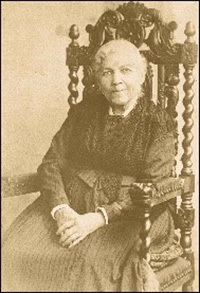 Harriet Jacobs was born into slavery in North Carolina. Her single work, “Incidents in the Life of a Slave Girl,” published in 1861 under the pseudonym Linda Brent, and edited by famed Abolitionist Lydia Maria Child, was one of the first autobiographical narratives about the struggle for freedom by an African American woman. Today, her book is compared with the “Diary of Anne Frank” as being two of the most important autobiographies depicting the resiliency of young women during times of great struggle. During the years leading up to the Civil War, she became an Abolitionist and national speaker to end slavery.